Kundalini Reiki. Over 2300 Advanced Energy Workshops for Physical and Spiritual Evolution. Possibly the Simplest Healing & Self-Development System! By opening and strengthening the energy channels of the body, it is possible to channel healing Reiki energy to yourself and others, just by intention. Kundalini means that certain healing channels and chakras have been opened, and you have thereby gained access to the Earth's energy. The Root chakra, which is the energy centre located near the coccyx, acts as an entrance for the Kundalini energy. The Kundalini energy is also referred to as "the Kundalini Fire." Hereafter, the energy runs all the way up through the body, through the main energy channel, and out of the Crown chakra. This energy channel goes from the Root chakra to the Crown chakra on the top of the head. An open Kundalini means that over a period of time, a complete cleansing of the chakras, the body parts and the energy channels is obtained. Kundalini Reiki was brought to this earthly plane by Mr. Ole Gabrielsen. Mr. Gabrielsen is a Master of Meditation and has inspired many people through out the world. His four meditation CD's are immensely popular in his native country of Denmark becoming bestsellars; helping thousands of people to regain their peace and happiness. Kundalini Reiki is a direct result of Mr. Gabrielsen many hours of Holy Communion with Master Kuthumi. Master Kuthumi is the Chocan of the Second Ray and is also known as Koot Hoomi and K.H. and is connected to the Crown Chakra and The Temple of Love, Wisdom and Understanding. Master Kuthumi comes to those who seek world knowledge in this time of change and to use that accumulated knowledge for the good of all. This Masters Energies are being directed to heal the physical body and mind and to overcome the tendency towards intellectual arrogance. His expressed goal of Kundalini Activation leading to expanding states of Universal Consciouness, Peace, Light and Love is not a future promise but one of immediate Possibility. Kundalini Reiki is a great Blessing and we are very Grateful to Mr. Gabrielsen and Master Kuthumi for this wonderful gift. A person who has, or has had problems with wrong Kundalini awakening, or other problems with the Kundalini energy, can most often be helped with Kundalini Reiki. 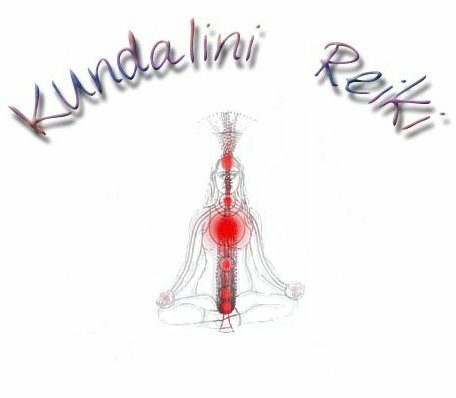 All who are interested in learning Kundalini Reiki must begin with Kundalini Reiki 1, even though you may have attunements from other systems. Kundalini Reiki 1-2-3 are taken as remote, long-distance courses. There is no difference in the quality of attunements whether done hands-on or as a remote, long-distance attunement. Kundalini Reiki 1 - The first attunement opens the healing channels to allow channelling of Reiki energy. At the same time you are prepared for the Kundalini awakening in Kundalini Reiki 2. The Crown, Heart and hand chakras are opened/strengthened. You are taught to perform a complete healing treatment and to heal remotely from a distance. Kundalini Reiki 1 is the equivalent of the USUI Reiki 1-2-3 Attunements. Kundalini Reiki 2 - All channels are strengthened. Kundalini Awakening - main energy channel opens gently and surely, alighting the Kundalini fire. Kundalini reaches the Solar Plexus chakra, preparing for the full Kundalini rising in Kundalini Reiki 3. You are also taught a specific meditation. When you perform this meditation, you increase in a short time, the power of the flame in the Kundalini fire energy. In this way, all the chakras energy systems are enlightened and a cleansing takes place. Kundalini Reiki 3 (Kundalini Reiki Master - The previous Attunements are strengthened and the Throat, Solar Plexus, Hara and Root Chakras are opened. The Kundalini fire is strengthened and reaches up and out of the Crown chakra - full rising of the Kundalini takes place. You are taught to attune Crystals and other objects, so that they act as Reiki channels. Extra included attunements: 1. Balance All. 2. Diamond Reiki. 3. Crystalline Reiki. 4. DNA Reiki. 5. Birth trauma Reiki. 6. Location Reiki. 7. Past Life Reiki. You are also taught to pass on Kundalini Reiki 1-2-3. Each Attunement takes approx. 25 minutes. You will receive the Kundalini Reiki regular version Master Manual via Email, All Attunements and a emailed certificate. Plus full email support is given before, during and after all my Workshops.